Acreage Report (AR)– Form used by insured and agent to report all acreage planted of the insured crops on the policy. It is combined with the approved APH form. Acreage Reporting Date (ARD) – The date by which insureds are required to submit acreage reports. Acreage reports must be filed not later than the acreage reporting date contained in the Special Provisions for the county for the insured crop or as provided in the basic policy provisions. Actual Production History (APH)– A major component of MPCI and CRC. The APH establishes an average yield for the insured crop based on the grower’s previous year’s experience. The APH yield is used to set the insured’s guarantee and determines the premium rate. Actual Yield – The yield for a crop year calculated from the producer’s records and/or claims for indemnities. The actual yield is determined by dividing total production (including harvested and appraised potential production) by planted insurable acreage for annual crops and by insurable acres for perennial crops (unless production from uninsurable acreage is commingled with production from insurable acreage). Actuarial – FCIC publishes actuarial data by eligible crop by county. The county actuarial document book contains CountyCoverageand Rate Table, Special Provisions of Insurance, and Classification documents for some crops. Added Land (AL)- Land on which the insured has not actively engaged in farming for a share of the crop’s production on the unit for more than two APH crop years. Added Practice, Type, or Variety (P/T/V) – A P/T/V of the insured crop as identified on the actuarial document that requires separate APH yields, and for which the insured has NOT been actively engaged in farming for a share of the P/T/V’s production on the unit for more than two APH crop years. Administrative Fee – The annual fee that the producer must pay per crop and county in addition to the premium (if any) for buy-up or CAT coverage. The CAT coverage fee is $100 per crop per county not to exceed $200 per producer PER COUNTY up to a maximum of $600 for all counties on an annual basis. The administrative fee for buy-up coverage is $30 per crop per county. APH– See Actual Production History. APH Database – The data used to calculate the APH yield. Application – Form used to insure crops under the MPCI program. Must be properly dated, completed and signed by the sales closing date for the crop. Approved APH Yield/Approved Yield – The amount of production per acre computed and approved by the verifier in accordance with FCIC’s Actual Production History Program, or the yield used to determine the guarantee in accordance with the crop provisions or the Special Provisions. The approved APH yield may contain up to ten consecutive APH crop years of actual and/or assigned yields. Assigned Yield – A yield assigned (by the verifier) for the most recent APH crop year in the base period (by database) if carryover insureds do not file acceptable production reports by the production reporting date, as required by the crop insurance contract. The assigned yield is 75% of the previous year’s approved APH yield. Assigned yields are used in the same manner as actual yields when calculating APH yields. Assignment of Indemnity – A form with which an insured can sign their right and interest to an indemnity payment over to a lender. Must have company approval and signatures of all parties. Audit– Process in which the crop specialist/auditor checks all paperwork and calculations the agent/insured/adjuster has submitted to verify that correct procedures/regulations have been followed and calculations are accurate. Average APH Yield– The sum of the actual, assigned, and/or applicable “T” yields divided by the number of yearly yields in the database (prior to the application of yield limitations or yield floors, if applicable). Base Period – Ten consecutive APH crop years (five consecutive APH crop years for Apples and Peaches) immediately preceding the current policy crop year (defined in the applicable insurance policy) for which the approved APH yield is being established. Exceptions: the base period for AZ-CA Citrus and Sugarcane begins two calendar years preceding the current policy crop year (a lag year). The base period for each APH database is determined by the consecutive APH CROP YEARS it contains, not by calendar years. Cancellation Date– the calendar date specified in the Crop Provisions on which that crop policy would automatically renew unless canceled in writing by either the insured or the insurer. Carryover Insured – A person or entity, who was insured the previous year without respect to the carrier or agent, determined on a crop policy (by county) basis. Cup – A 10% Cup yield limitation that applies on a unit/practice/type basis on all APH crops for carryover insureds. The current year’s approved APH yield will not decrease more than 10% compared to the prior APH yield (includes T yields). Cash Lease (100 Percent Share)– Acreage rented for cash is considered a cash lease. A lease containing provisions for either a minimum payment or a crop share will be considered a cash lease. Catastrophic Risk Protection (CAT)– The minimum level of coverage offered by RMA which meets the requirements for a person to qualify for certain other USDA program benefits (50/55). Category B Crops (Annual Crops) – Barley, Canola, Canning and Processing Beans, Corn, Cotton, Dry Beans (including contract seed beans), ELS Cotton, Flax, Forage Production, Grain Sorghum, Oats, Onions, Peas (Dry and Green), Potatoes, Popcorn, Rice, Rye, Safflower, Soybeans, Sugar Beets, Sugarcane, Sunflower, Sweet Corn (Canning and Freezing), Tobacco (Production Guarantee – types 41 and 32 PA; 51 and 61 CT; 51, 52 and 61 MA; and 32 MD), and Tomatoes (Canning & Processing and Fresh-Market Guaranteed Production Plan) and Wheat. Category C Crops (Perennial Crops) – Almonds, Apples, Arizona-California Citrus (for the 1999 policy crop year), Blueberries, Cranberries, Figs, Grapes, Macadamia Nuts, Peaches, Pears, Plums, Prunes, Stonefruit (Apricots, Nectarines and Peaches), Table Grapes, Texas Citrus (for the 1999 policy crop year) and Walnuts. Closed Claim– The status of a policy that indicates that an indemnity was paid to the insured and company personnel closed the claim. Coarse Grains – Grain Sorghum, corn, and soybeans. Commingled Production – Production from separate practices/units that was combined and stored or marketed together. Can result in loss of optional unit structure. Companion – Person(s) sharing on any given unit. Confirmation of Coverage – A computer printed form sent to each insured prior to the sale closing date indicating the crop(s) insured, price election and level of coverage selected for each policy. Conservation Reserve Program (CRP) – An FSA program in which a producer takes ground out of production for a period of ten years. Continuous Policy – Coverage renews every year until canceled in writing. MPCI is a continuous policy. Continuous Production Reports– Production reports submitted by a producer for each consecutive APH crop year (within the base period), including the most recent APH crop year in the base period. Continuity is not interrupted if, for any calendar year, the crop was not planted, was prevented from being planted by an insurable cause, or was NOT produced for an insurable purpose. Contract– The contractual agreement between the insured and the Insurance Provider consisting of the accepted application, the Basic Provisions, the Crop Provisions, the Special Provisions, other applicable endorsements or options, the Actuarial Table for the insured crop, the Catastrophic Risk Protection Endorsement (if applicable), and the applicable regulations. Crop Hail Insurance – Crop insurance that covers losses pertaining primarily to hail. Fire is often included with a hail policy. Some companies will also offer a wind endorsement for additional premium. Crop Insurance Handbook (CIH)– A manual published and distributed by FCIC containing the rules and regulations pertaining to writing MPCI. Crop Share– Acreage rented for a percentage of the crop will be considered a crop share lease. A lease containing provisions for both a minimum payment (such as a specified amount of cash, bushels, pounds, etc.) and a crop share will be considered a crop share lease. Crop Year – Usually defined by the year that the crop is harvested. APH Crop Year– For APH purposes, the term does not include any year the crop was not planted, prevented from being planted by an insurable cause, or NOT produced for an insurable purpose as provided in the crop’s policy. Example 1: When an insured plants insurable acreage in a county to wheat for harvest as grain, that year is a crop year for APH data purposes. If the land is summer fallowed the next calendar year, that year is not a crop year for APH data purposes. Example 2: A year that oats were planted as a cover crop, pastured, or put up for hay is not considered an APH crop year unless such acreage was reported as insured as “intended for harvest as grain” under the MPCI contract. Policy Crop Year– The period defined by the applicable crop insurance policy. Database – The data used to calculate the average/approved APH yield. A minimum of four, up to a maximum of ten, continuous APH CROP YEARS of production data are used. The data provided must begin with the most recent APH CROP YEAR. Years containing assigned yields do not break continuity of production data and are considered APH CROP YEARS. Date Table – A listing of all deadline dates for each crop in each county. D-Yield – A yield available for some Category C crops, used to fill out the data base when less than four years of actual yields are certified. Two or more optional units of the same insured crop established by separate sections, section equivalents, or FSA FSNs. Entity – Each separate sharing person in a crop. Each entity is insured individually. Established Price – The price per unit of production issued by FCIC by each crop’s filing date. Farm Serial Number (FSN)– The number assigned to each and every farm located within a given county. The FSA office assigns these numbers. Farm Service Agency (FSA)– An agency within USDA that we work with at the county level to verify insureds’ acres, share, etc. Federal Crop Insurance Corporation (FCIC)– the government corporation within the United States Department of Agriculture (USDA) that administers the crop insurance program. FCI-2 Agreement – A form that the Field Underwriting Office (FUO) returns after an FCI-5 has been submitted. This form is an insurance offer or rejection. FCI-5 Agreement (Written Agreement)-The request form for an actuarial change that is sent to the FUO. Field Underwriting Office (FUO) – An FCIC agency. Final Planting Date – The date in the Special Provisions for the insured crop by which the crop must initially be planted to be insured for the full production guarantee. Good Farming Practices– The cultural practices generally in use in the county for the crop to make normal progress toward maturity and produce at least the yield used to determine the production guarantee or amount of insurance. Those recognized by the Cooperative State Research, Education, and Extension Service as compatible with agronomic and weather conditions in the county. Gross Production – Net delivered production of the commodity (by removing truck weight and other weights which are considered tare from the gross scale weight) prior to deductions made for dockage, test weight, moisture content, poor quality, foreign material, etc. For APH purposes, harvested or appraised gross production, documented in the unit of measure indicated by the crop’s policy, is acceptable. However, when acceptable records that indicate dockage, low test weight, high moisture content, poor quality, foreign material, etc., are available at the time production reports are filed, gross production MUST be adjusted for APH purposes to reflect the same quality of production as provided in the crop’s policy for loss payment purposes. Group Risk Plan (GRP)– An alternative plan of insurance based on the experience of the county rather than individual farms. Protects against yield loss. Group Risk Income Protection (GRIP)– A GRP policy with a price component, used to provide revenue protection. GRIP provides downside price protection, and the Harvest Revenue Option (HRO) adds upside price protection. Guarantee – Approved APH yield multiplied by the level of coverage. With revenue plans, this is then multiplied by the base price for a revenue guarantee. Inter-tillable Between Rows(IBR) – A non-irrigated practice. The crop is planted in rows far enough apart to permit cultivation. Indemnity – Money that is paid to an insured for a loss or damage to an insured crop. Insurance Provider – A company reinsured by FCIC providing crop insurance coverage to producers participating in any Federal crop insurance program administered under the Federal Crop Insurance Reform Act of 1994. Beginning with the 1998 crop year, FSA no longer sells MPCI CAT coverage. Insured – The named person as shown on the application accepted by us. This term does not extend to any other person having a share or interest in the crop (for example, a partnership, landlord, or any other person) unless specifically indicated on the accepted application. Insured Crop – The crop defined under the Basic Provisions and the applicable Crop Provisions as shown on the application accepted by the Insurance Provider. Interested Party – Person(s) having a share in the crop. Irrigated practice(IR/IRR) – A method of producing a crop by which water is artificially applied during the growing season by appropriate systems and at the proper times, with the intention of providing the quantity of water needed to produce at least the yield used to establish the irrigated production guarantee or amount of insurance on the irrigated acreage planted to the insured crop. Late Planted – Acreage planted to the insured crop during the late planting period. Late Planting Period – The period that begins the day after the final planting date for the insured crop and ends twenty-five (25) days after the final planting date. Level of Coverage – The percent of the APH that the insured wishes to protect. Choices are 50 – 85% in 5% increments for MPCI, RA, and CRC. MPCI example: 100 Bu./acre APH X 75% level of coverage = 75 Bu./acre production guarantee. Limited Resource Farmer – A producer or operator of a farm, with an annual gross income of $20,000 or less derived from all sources of revenue, including income from a spouse or other members of the household, for each of the prior two years. Notwithstanding the previous sentence, a producer on a farm or farms of less than 25 cropland acres (aggregated for all crops), where a majority of the producer’s gross income is derived from such farm or farms but the producer’s gross income from farming operations does not exceed $20,000, will be considered a limited resource farmer (e.g. a producer farming 20 acres with a total gross income of $39,000, of which $20,000 is farm income and $19,000 is off-farm income, is a limited resource farmer). Linkage Requirement– The legal requirement that a producer must obtain at least CAT coverage for any crop of economic significance as a condition of receiving benefits for such crop from certain other USDA programs. 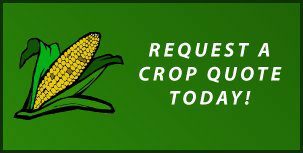 This is required unless the producer executes a waiver of any eligibility for emergency crop loss assistance in connection with the crop. Loss– The status of a policy that indicates there was an actual loss of production and an indemnity was paid. Loss Notice – Notice of Loss – The form and procedure that is used by the agent to notify the company of any loss on an insured crop. The insured is required to give notice to the agent not later than 72 hours after certain occurrences or 15 days after the end of the insurance period. Loss Payee – Person(s) to whom a loss will be paid. Market Price – A price election option available on barley, oats, rye flax, malt barley, grain sorghum, corn, corn silage, and soybeans. The market price is determined by FCIC. Master Yield – The FUO Approved Master Yield is available for some crops and locations where crop rotation and land leasing limits the yield history available during the base period. Production from all acres of the crop the producer has in the county (by practice, type, area, and basic unit when all entities are insured) is used to establish an approved APH yield for all acreage of the crop planted in the designated area. Milo– Grain sorghum or maize. This is a coarse grain crop. Multi-Peril Crop Insurance (MPCI)– FCIC’s “standard” insurance product, which provides protection against a production loss. New Insured – A person/entity who was not insured the previous crop year without respect to the carrier (FSA or Insurance Company) or agent. If the insured had an MPCI, Income Protection, Crop Revenue Coverage, or Revenue Assurance crop insurance policy the previous crop year on the same crop/county, that person is not a new insured. New Producer – (CATEGORY B CROPS ONLY) A person who has not been actively engaged in farming a share of the production of the insured crop (producing the crop) for more than two APH crop years. Formation or dissolution of an entity which includes individuals with more than two APH crop years of production history during the base period does not qualify the new entity as a new producer for APH yield determination purposes. Not Inter-tillable Between Rows (NIBR), a non-irrigated practice in which the crop is planted in rows too narrow to permit cultivation. Non-Contiguous– Any two or more tracts of land whose boundaries do not touch at any point, except that land separated only by a public or private right-of-way, waterway, or an irrigation canal will be considered as contiguous. Open Claim– The status of a policy that indicates the insured has reported that a potential loss exists on a policy. Person/Entity– An individual, partnership, association, corporation, estate, trust, or other legal entity, and wherever applicable, a state or a political subdivision or agency of a state. “Person” does not include the United States Government or any agency thereof. Planted Acreage– Land in which seed, plants, or trees have been placed as appropriate for the insured crop and planting method, at the correct depth, into a seedbed that has been properly prepared for the planting method and production practice. Policy – This is the Contract of Insurance. The provisions for insuring a specific crop. Policy Change Form – Can be used by the insured to make a number of changes to the insurance policy (i.e. change of price election or coverage level, change insured’s address or tax id number or cancel the policy). Power of Attorney (POA)– Form required when showing an individual has authority to sign for another person. Practical to Replant – The Insurance Provider’s determination, after loss or damage to the insured crop, based on all factors, including, but not limited to, moisture availability, condition of the field, time to crop maturity, and marketing window, that replanting the insured crop will allow the crop to attain maturity prior to the calendar date for the end of the insurance period. It will not be considered practical to replant after the end of the late planting period, or the final planting date if no late planting period is applicable, unless replanting is generally occurring in the area. Unavailability of seed or plants will not be considered a valid reason for failure to replant. Practice – Irrigated or Non-Irrigated, Summer Fallow/Continuous Crop, IBR/NIBR, FAC/NFAC. Preliminary Yield – The APH yield calculated by the agent prior to approval by the verifier. Preliminary yields are used to provide coverage estimates and premium quotations and are calculated using the same procedure as approved APH yields. Premium – The insured’s cost of insurance. Prevented Planting (PP)– Inability to plant the insured crop with proper equipment by the final planting date designated in the Special Provisions for the insured crop in the county or the end of the late planting period. Insured must have been unable to plant the insured crop due to an insured cause of loss that prevented the majority of producers in the surrounding area from planting the same crop. Price Election – The component of the crop insurance program that puts a monetary value on the commodity. MPCI price elections are set by FCIC. Revenue product price elections are set by a commodity exchange, i.e. Chicago Board of Trade. Prior APH Yield – The approved APH yield from the previous year’s APH form. Production Guarantee (Per Acre) – The number of pounds, bushels, or other applicable units of measure determined by multiplying the approved yield/approved APH yield per acre by the coverage level percentage elected. Production Report – A written record showing an insured’s annual production and used by the insurer to determine the insureds yield for insurance purposes. The report contains previous yield information including planted acreage and harvested production. Production reports may be APH forms or documents containing the same information required to complete APH forms. The insured must certify acreage and production for each unit of the crop for at least the most recent APH crop year in the base period. To be acceptable, production reports must meet the requirements as outlined in the CIH and be signed, dated, and submitted by the insured on or before the production reporting date. Production Reporting Date (PRD)– The latest date production reports will be accepted for inclusion in the database used to calculate approved APH yields for the current crop year. The PRD is the earlier of the acreage reporting date or 45 calendar days after the earliest cancellation date for the crop for the current crop year unless otherwise stated in the Special Provisions. NOTE: For new insureds, if a crop has both a spring and fall sales closing date, and application for insurance is made after the earlier sales closing date, the PRD is the earlier of the acreage reporting date or 45 calendar days after the spring sales closing date. Insurance does not attach to the acreage planted to the type with the earlier sales closing date if application is made after the earlier sales closing date. Program Yield – See Established Yield. Reconstituted (Re-Con) – When two or more FSNs are combined or divided. Released Loss– The status of a policy that indicates a claim was reported, no indemnity was found due and owing, therefore the loss was released. Replanting – Performing the cultural practices necessary to replace the seed of the same insured crop, and replacing the seed for the same crop in the insured acreage with the expectation of growing a successful crop. Revenue Protection (RP)– A revenue plan of insurance that guarantees revenue per acre as opposed to MPCI that guarantees production per acre. This plan offers yield protection, and both upside and downside price protection. Available in Optional, Basic, Enterpriseor Whole-Farm Units. Revenue Protection with Harvest Price Exclusion (RPHPE)– Same as RP, but uses Harvest Price to value actual production per bushel. Final guarantee stays at the Projected Price, with no increase in revenue guarantee per acre when the Harvest Price is higher than the Projected Price. Effective yield guarantee decreases with an increase in Harvest Price. RMA Regional Service Office (RMA RSO)– The Risk Management Agency (RMA) Field Underwriting and Program Services Office for a designated area (states). RMA RSO Determined Yields– The approved APH yield determined by the RMA RSO for insureds who do not provide at least four years of acceptable production reports when a “T” Yield Table is not published; or for other cases referred to the RSO for yield determinations. Sales Closing Date – Last possible date to take out a MPCI application, cancel or make other changes to an existing policy for the current crop year. Significant Business Interest (SBI)– All individuals or corporations having more than a 10% interest in the entity/farming operation. Schedule of Insurance (SOI)– Previously referred to as Summary of Coverage or Dec Sheet, this form is printed at the company. It shows coverage and premium by unit as well as premium due for that policy. A Schedule is printed for each insured after submission of the acreage report. Section – (for the purposes of unit structure) – A unit of measure under a rectangular survey system describing a tract of land usually one mile square and usually containing approximately 640 acres. Share – The insured’s percentage of interest in the insured crop as an owner, operator, sharecropper, or tenant at the time insurance attaches. Unless the accepted application clearly indicates that insurance is requested for a partnership or joint venture, or is intended to cover the landlord’s or tenant’s share of the crop, insurance will cover only the share of the crop owned by the person/entity completing the application. The share will not extend to any other person having an interest in the crop except as may otherwise be specifically allowed in the Basic Policy Provisions. Similar Crop– Another crop produced by the grower and classified under a broad grouping of crops such as: row crops, tree crops, vine crops, bush crops, etc. Example: Annual crops such as wheat, corn soybeans, etc., are considered to be similar crops; apples, peaches, pears, etc., would also be considered similar crops. Small Grains – Wheat, oats, barley, flax, rye. Special Provisions – The part of the policy that contains specific provisions of insurance for each insured crop that may vary by geographic area. Subordination – Document signed by a lender (bank) guaranteeing that the premium will be paid. Successor in Interest – Through use of a Policy Change Form and a new application, a successor (i.e. surviving spouse, or guardian) may retain all the yield history, experience, and premium discounts accumulated by the former insured. Tenant – Producer or farmer, usually having the largest share in a crop. Temporary Yield– A yield used (by unit) when an insured is unable to finish harvest (due to an insurable cause), or records are unavailable from the processor, marketing outlets, etc., by the production reporting date. Timely Planted – Planted on or before the final planting date designated in the Special Provisions for the insured crop in the county. Transitional Yield (T-Yield)– An estimated yield provided in the Actuarial Table which is used in calculating average/approved APH yields when less than four years of actual, temporary, or assigned yields are available on a crop by county basis. NOTE: Any actuarial document references to Determined Yields (“D” Yields) are considered “T” Yields for APH purposes. Transitional Yield Locator Document (T-Yield Map) – A county map indicating area classifications and corresponding “T” yields. “T” area classifications are used in conjunction with the “T” Yield Table to determine “T” yields. Transfer of Coverage – When an insured, during the crop year (after the crop is seeded) transfers his/her share on the crop to another party. Unit – The insurable acreage of the insured crop taken into consideration when determining the APH yield, production guarantee, and loss payment. For Category B Crops– Sixty-five, 80, 90, or 100 percent of the applicable “T” Yield based on the number of years of actual, assigned, or temporary actual yields provided on a crop (policy) and county by the insured. For Category C Crops– Sixty-five, 80, 90, or 100 percent of the applicable “T” Yield based on the number of years of actual, assigned, or temporary yields provided for each database by the insured. Verifier– An Insurance Provider authorized by RMA to calculate approved APH yields. Waiver (Linkage) – An FSA document that when signed by a producer relinquishes that producer’s eligibility for emergency crop loss assistance and satisfies linkage. Waiver (Administrative Fees) – A document that, when signed by limited resource farmers, exempts them from paying the administrative fee. Whole Farm Unit (WU)– All insurable acreage of the insured crops in the county in which you have a share on the date coverage begins for each crop for the crop year. Written Agreement(FCI-5)–A document designed to provide crop insurance for insurable crops when coverage or rates are unavailable and to modify multiple peril crop insurance offers. This document allows the flexibility to provide insurance coverage for land or persons involved in the production of insurable crops and to amend the terms and condition of insurance provided in the insurance policy when specifically permitted by the regulation, policy, actuarial documents, or special provisions. Yield Adjustment (YA)– A type of yield limitation that is designed to artificially raise an approved yield by adjusting any APH yields lower than 60% of the T-yield due to an insurable cause of loss to a minimum of 60% of the T-Yield. Yield Descriptor -Each yield entered in the yield column of an APH database must be identified with the applicable yield type descriptor when completing APH databases. Yield Floor – For Category B APH crops, the lowest approved APH yield allowed under APH procedures if insureds have provided at least one year of acceptable records. Yield Limitations – Adjustments made to average APH yields, when applicable, which result in the approved APH yield (I.E. Yield Adjustment, Yield Floor or Yield Cup). Yield Type -The yield history is updated with the applicable type of yield when acceptable production reports are submitted by the PRD. Yield types include actual yield, applicable variable T yields, special T yields, temporary yield and zero planted acres. Zero Acreage Report – An acreage report filed by an insured that certifies the insured does not have a share in the crop for that crop year.